Dr. David Jensen is the founder of the WIN Health Institute, which is the parent company of other businesses that he has successfully owned and operated. The high technology WIN Health Institute offices are in El Jebel (near Basalt and Carbondale), Colorado, with satellite chiropractic and massage WIN Health Offices in Glenwood Springs and Aspen, Colorado. 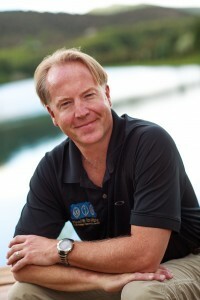 Dr. Dave also owns and operates MyRemedyShop.com, which is an online supplement and vitamin store. Recently, Dr. Dave authored a book, “The Thrival Theory”, which contains a summary of his beliefs about healing the mind, body and spirit, and offers suggestions and remedies for the reader to take control of their lives, and enjoy prosperity no matter what chaos surrounds them in their current economic and social world. Dr. Dave has prepared himself for clinical success by attending and completing Chiropractic and Advanced Technology Classes. See more information about his credentials and his family on the WIN Health Website located in the “About” page. This website contains blog entries that were authored by Dr. Dave and others whose articles were deemed to be thought-provoking and appropriate for his business and spiritual beliefs. If you want more information about Dr. Dave’s business or would like to investigate chiropractic treatments or supplements, go to the WIN Health Institute or the MyRemedyShop Websites.